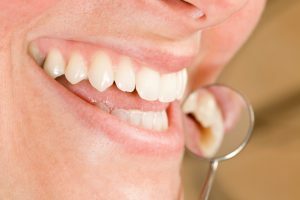 How Long Do Dental Implants in Virginia Beach Last? After tooth loss, the jawbone in the area of the missing tooth/teeth begins to degenerate as the body senses important nutrients should be sent elsewhere. Replacing the missing tooth promptly is of the utmost importance — and choosing dental implants ensures that your mouth benefits from the stimulation of a prosthetic root as well as a crown. Unlike other options in tooth replacement, dental implants in Virginia Beach last a long time… a lifetime, in fact. Find out more about this comprehensive replacement option from the Smile by Design team in this week’s blog post. A dental implant procedure is completed over the course of six months to a year. The total treatment time depends on where in the mouth the missing tooth is located, and how healthy your jawbone is to start with. Your implant dentist in Virginia Beach may recommend a preparatory bone graft procedure before implantation can begin. After your dental implants have been surgically placed, you will undergo a recovery period of four to six months during which the implants are expected to osseointegrate, or fuse with the jaw bone. It is this process that provides maximum security for the new tooth replacement that will be affixed on top of the implants. When the final restoration of the implants has occurred, you begin your life with a stable, secure, and complete smile. You can expect your dental implants to last for many decades — or the rest of your life, really — with proper care. Recent studies show dental implant procedures are as much as 98% successful. That means that if you are an eligible candidate for implant dentistry, the chances that your implants will fail are very, very slim — but it can still happen. The condition known as peri-implantitis causes infection around the implant post that results in implant failure. Prevent peri-implantitis by maintaining excellent oral hygiene after your implants have healed. You should brush your teeth for two minutes, at least twice a day or after each meal. Floss teeth daily, and use an interdental cleaner or a water flosser for extra help around the dental implants. Adding an antimicrobial mouthrinse will kill any leftover bacteria for fresher breath and healthier teeth and gums. In addition to staying on top of your good dental hygiene routine, do not pick up a smoking habit. Tobacco harms oral health and inhibits healing. Maintain a balanced, nutritious diet, adopt healthy lifestyle habits, and visit your dentist regularly for continued oral health and lasting implant success. If you have lost one or more teeth and are in adequate oral and overall health, the answer is a resounding yes — you need dental implants. Don’t wait another day to get started on your tooth replacement! Please contact Smile by Design to book an appointment with your dentist in Virginia Beach at a time that suits your schedule. Comments Off on How Long Do Dental Implants in Virginia Beach Last?